Hey y’all. 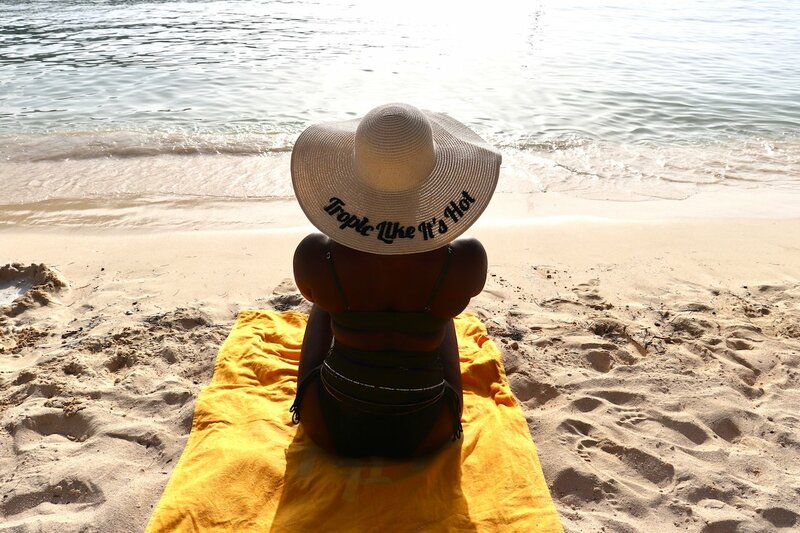 So remember I told you guys that I was headed to Jamaica for the Tropic Isle Living It Starts With Us Retreat? Well I’m back and I had an amazing time. 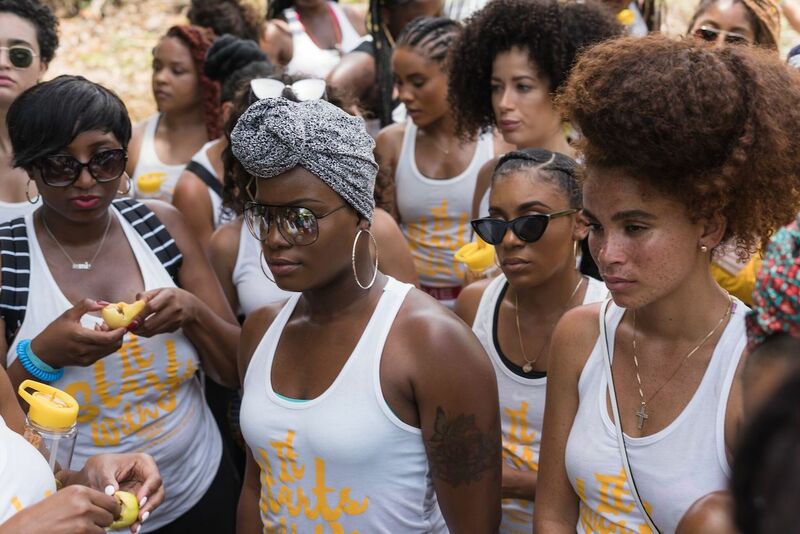 And of course I have to give y’all a full recap. 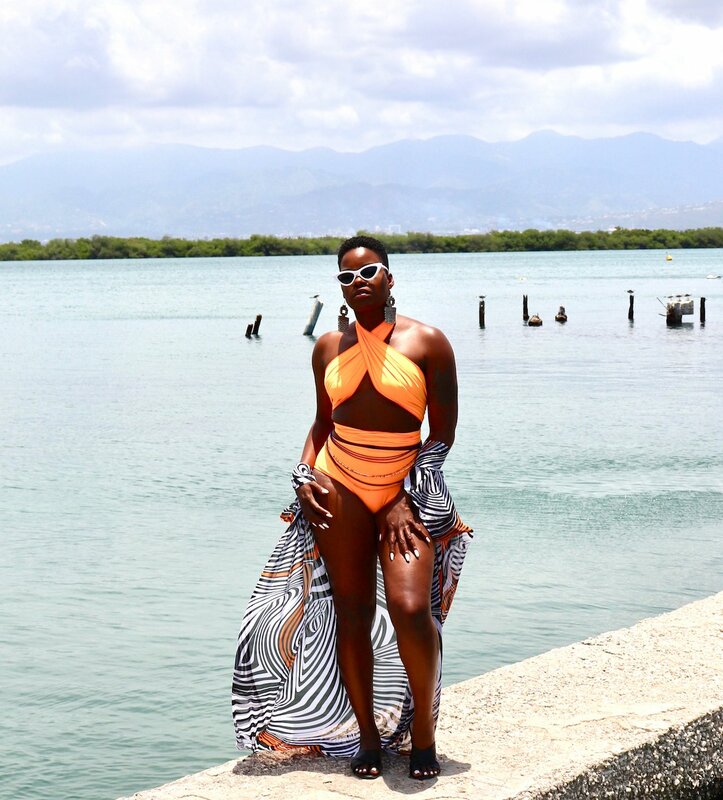 The Tropic Isle Living It Starts With Us Influencer Empowerment Retreat was held August 3rd-6th at Moon Palace Jamaica in Ocho Rios. 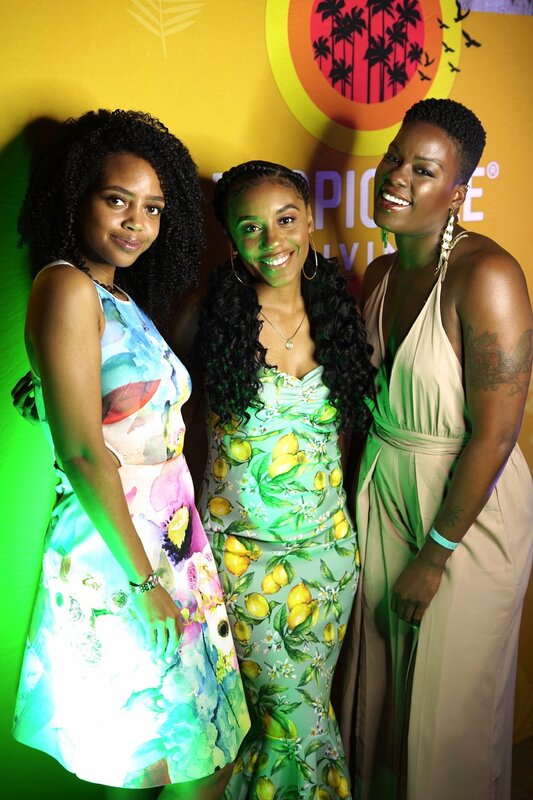 Tropic Isle Living invited 25 influencers to beautiful Jamaica to learn more about the brand and to empower our impact on the natural hair & beauty communities. I was honored to be a part of the group. 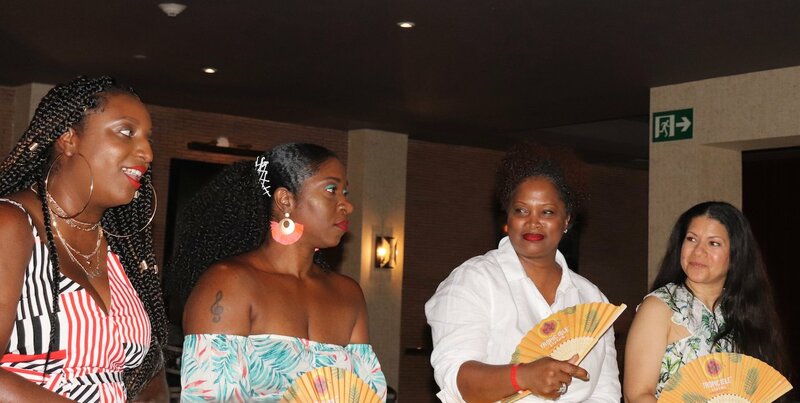 The retreat kicked off with a Welcome Mixer which included words of wisdom from Kiana Woodson (Brand Manager), Sabrina Boissiere (Event Producer), Lois Reid-Hines (CEO & Co-Founder) and Stephanie Scott (First And Last PR). We mingled and took photos. Then enjoyed the resort for the rest of the evening. 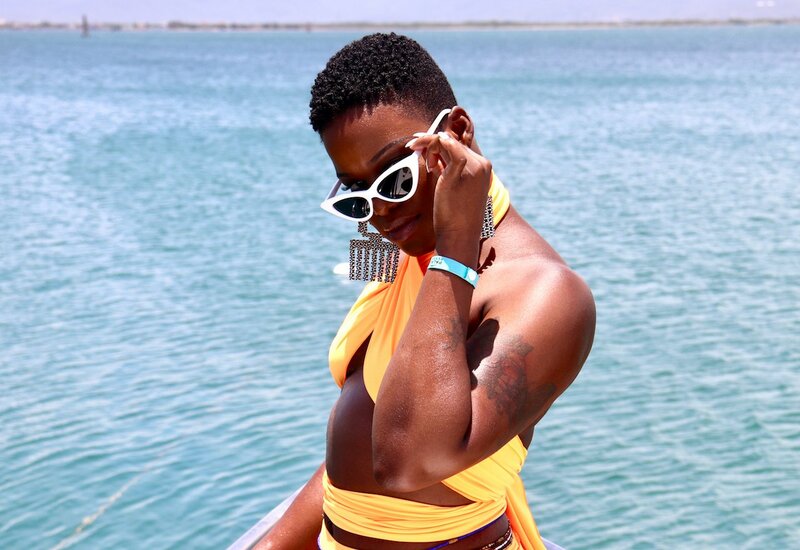 The next morning we took a bus ride to Port Royal in Kingston and headed out on the water with Loose Cannon Tours for a yacht party in celebration of Jamaican Independence Weekend. 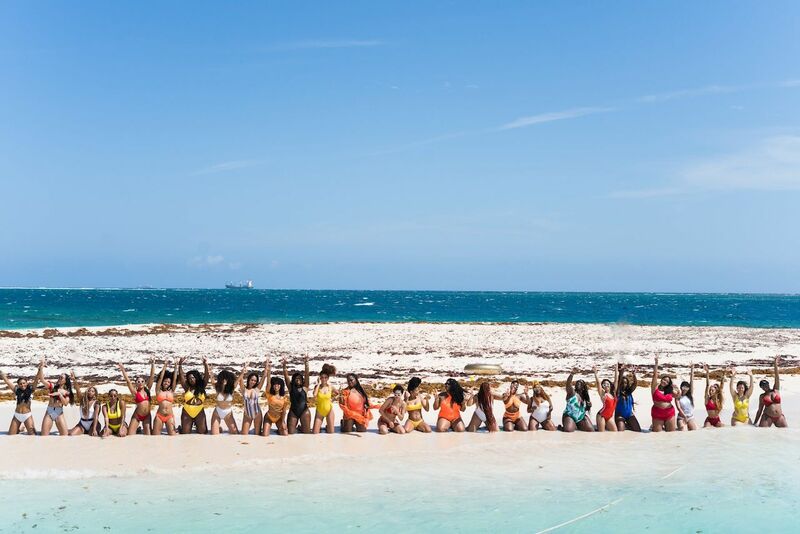 The destination was Maiden Cay for a photo shoot. We ate, drank, and enjoyed each others company. And had an amazing time taking photos on the private island. It was truly an experience to remember. 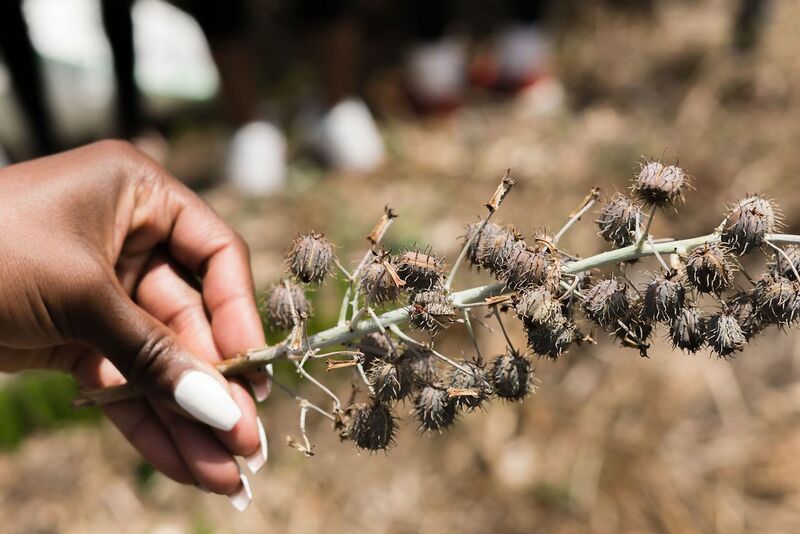 On day 3 we headed out for a tour of one of the Tropic Isle Living Jamaican Black Castor Oil Farms. We learned about how Jamaican Black Castor Oil is produced. From growing the trees, roasting and planting the seeds and producing the oil. We were even able to plant our own seeds. The visit was very educational and we had fun although it was hot as hell lol. It was great to find out how JBCO is produced. Bless the farmers as it is such a tedious task. After the farm visit I grabbed some lunch and hung out on the beach for a bit. Then I went to pull myself together for the All White Farewell Dinner. Dinner was delicious. We ate drank and danced the night away. And also had a lantern lighting ceremony to release our fears and negative energy. My Grandfather passed while I was away. All of the ladies were so supportive which is exactly what I needed when receiving such news while so far away from my family. I was able to find a little peace before I had to go home and deal with the storm. 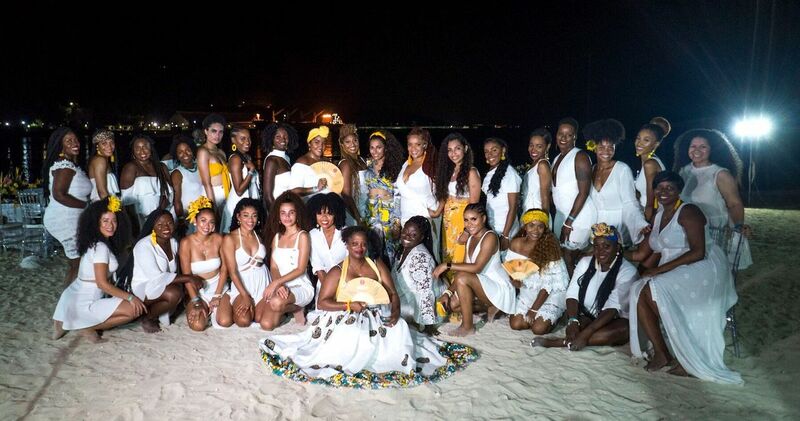 It truly was amazing being surrounded by such beautiful spirits. 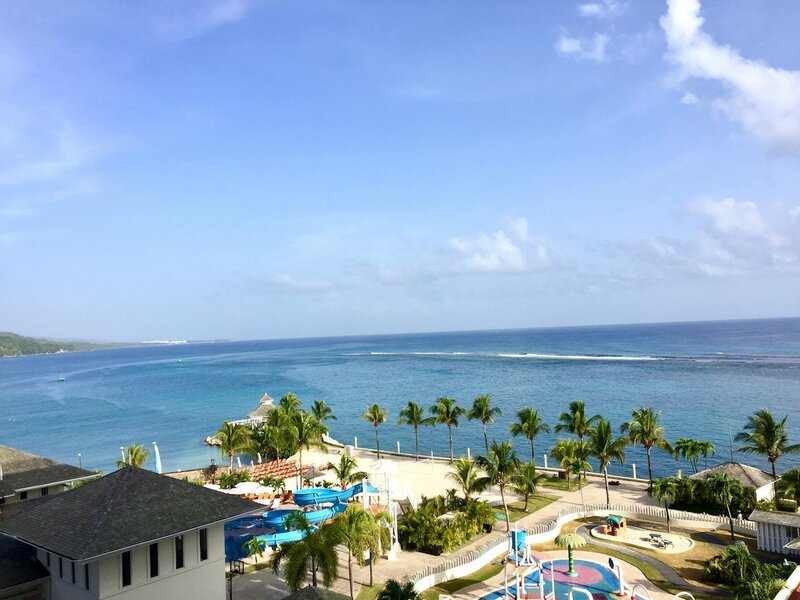 The Moon Palace Jamaica was beautiful. 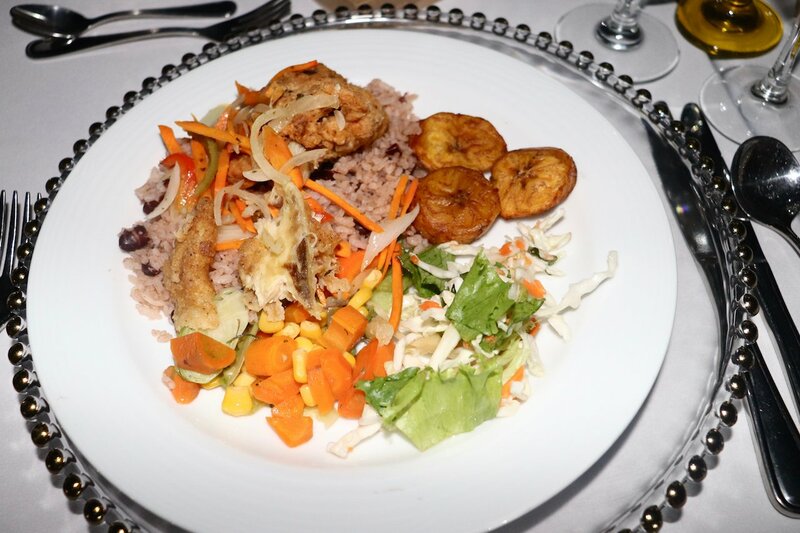 And the food was on point. 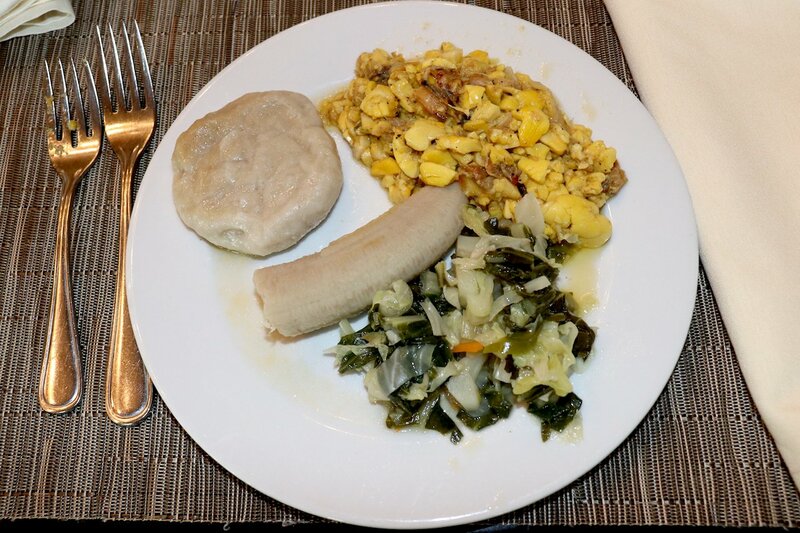 The traditional Jamaican breakfast was my favorite meal and I ate a variation of it every chance I got. 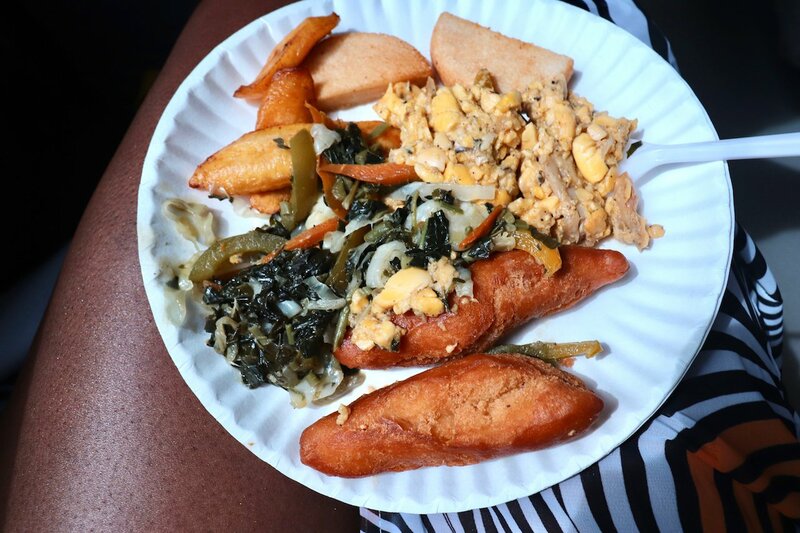 The ackee & salt fish was cooked perfect every time, and everything was so fresh. This was my first time trying bammy and I fell in love! Festival and Sweet Plantains will always hold a special place in my heart. I’m so greedy lol. I made multiple trips to the ice cream station as well. 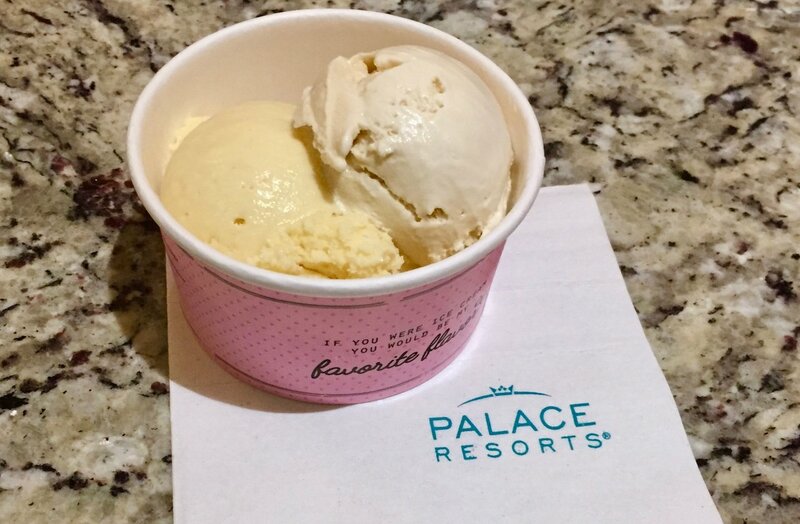 The rum raisin was delicious, along with this vanilla and almond combo. 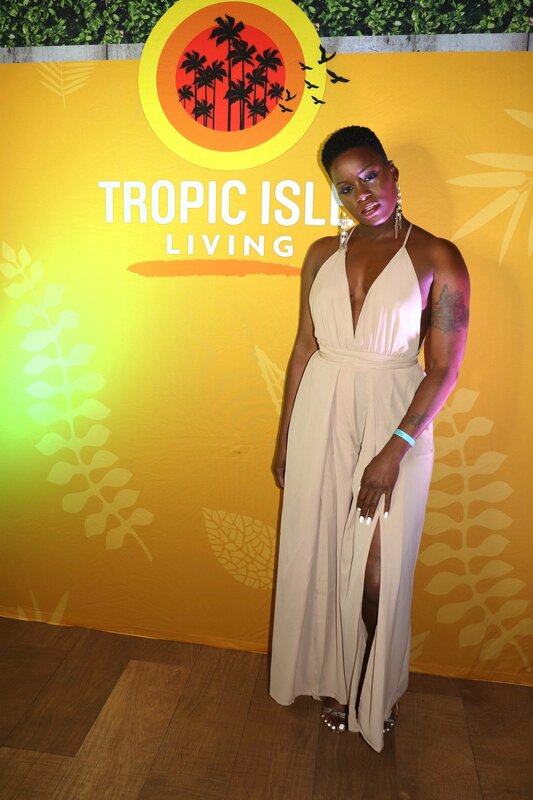 The Tropic Isle Living It Starts With Us Retreat was an amazing experience. I feel blessed to be a part of something so big. As if all of these pictures weren’t enough, I filmed my very 1st vlog y’all! Check it out to get a behind the scenes peek at the fun! Congrats on your first Vlog! Blog and vlog were enjoyable. Your trip looked so fun. 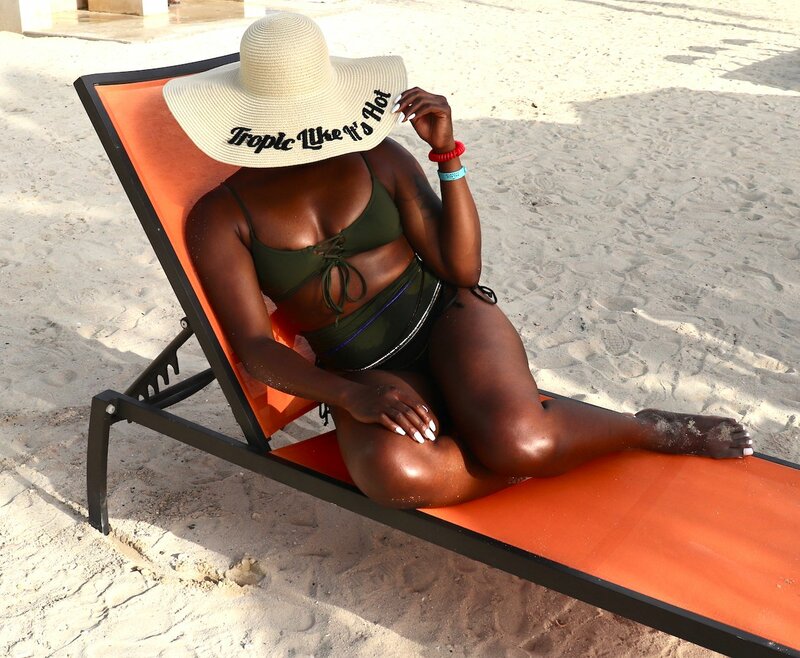 It’s nice to see black influencers get this type of getaway & treatment. I use the red pimento Tropic Isle oil that you reviewed a while back. I’m so sorry about the loss of your grandfather.